Hello, I am Anamika from Gadgetraja, and today in this post I am going to share with you my 15 best Google Chrome extensions. I really believe that these extensions will surely help you become more productive and secured on the Internet. Since the launch of Google Chrome 2008, it has come a long way. With every other browser losing their hold on users Chrome is the only one making its way to the top. With the increasing popularity of crumbles, it is quite apparent that Chrome is more than just a browser, among other things. The reason why Chrome is the choice of the majority of users is the massive list of free and freemium extensions. However, finding the best one among them is quite a challenge, but you don’t need to worry as I have done the hard work for you. To make this post enjoyable, to the point and unique I have tried to exclude the obvious ones. So, without any further ado let’s start. It is by fast the most important and probably the best Gmail chrome extensions. Apart from just tracking email opens and scheduling emails, this addon has one differentiating feature. Let’s say you have received an email from someone unknown to you. You will be able to see their LinkedIn, Twitter and Facebook profile alongside your mailbox. It helps in a situation where you want to know more about a person before going further into the conversation. I use it on a daily basis, and it is quite efficient. One advantageous feature which you get with this extension is an ability to create templates and then the option to share it with your colleagues. Furthermore, you can track the performance of each and every template. This is really helpful to understand how your emails are performing. 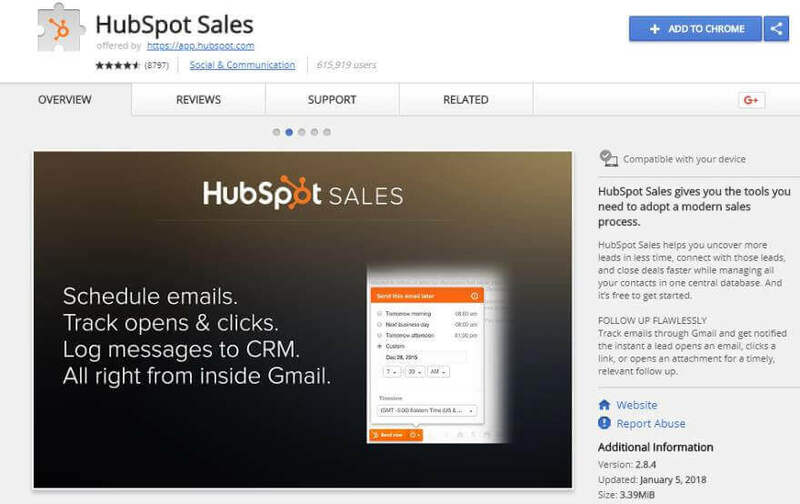 Moreover, when you are ready to take automation to a completely next level, you can upgrade to HubSpot Sales premium plan. The premium plan lets you create automated personalized follow-up emails, sales pipeline. You also get access to so many other advanced features for free. It is a feature-rich extension that lets you take screenshots and annotate them. You can even add arrows, emoticons and all these without leaving Chrome. 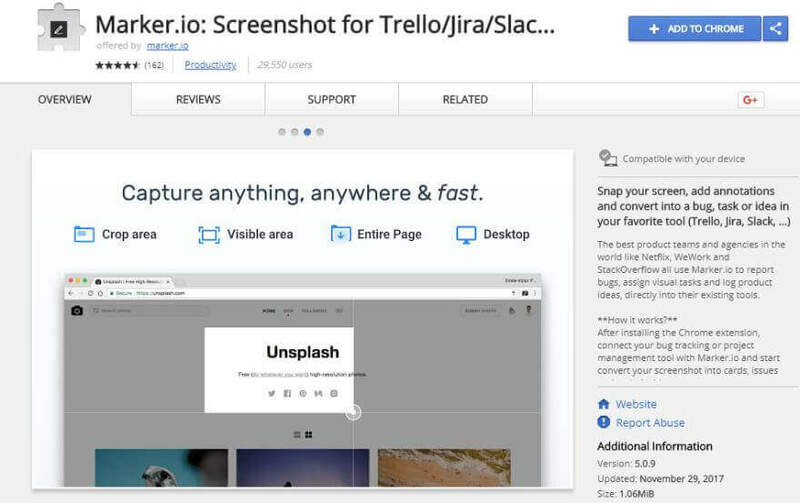 Its easy integration with various team collaboration platforms like Trello, Github, Bitbucket, Slack ( and few mores) makes it easy to share the screenshot. However, if you are not using any of these platforms, you can just send it as a link. Marker.io is specifically aimed at developers and programmers. As a developer or a designer, you can quickly send screenshots with annotations to your client or colleagues. Also, if your client or your team member finds any error in the project, then they can notify you about it. It is one another free online service which helps you to receive notifications whenever anything changes on the web pages you saved. It is a unique service which unlike other web content monitoring services does not rely on HTML markup. Instead, it monitors the visual changes on the web pages. It means that now you can either monitor a specific area of the or simply the full content. Just to explain the feature of VisualPing let’s consider a scenario where you want to get notified whenever the price of MacBook Pro changes on Amazon.com. So instead of setting up VisualPing to monitor the whole sales page, you can now select only the price section. Now, whenever there is any change in the price, you will get the notification. It is a must-have tool for all those peoples who do lots of copy and pasting every single day. 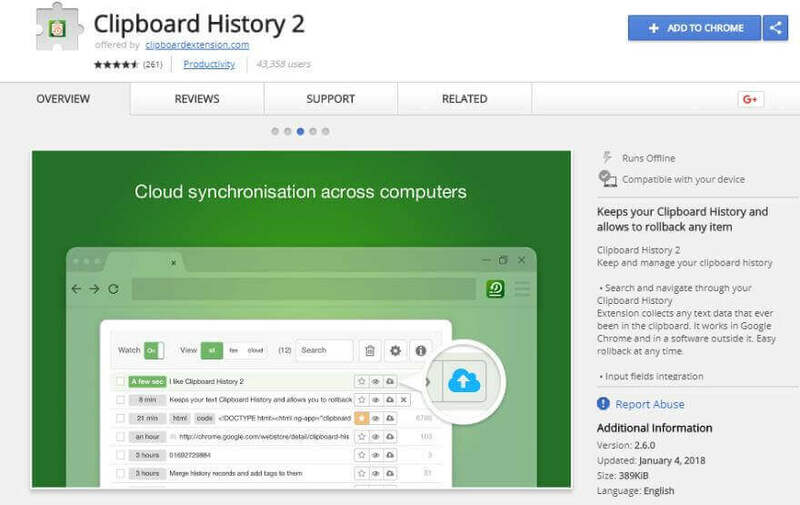 Clipboard History 2 has been designed and developed to help you properly manage the list of all the copied contents. It even gives you the freedom to tag every individual content and furthermore you can also download all your data in either JSON or TXT format. It helps you to access all the contents from one single place easily. To give you, even more, comfortability, it adds a new tab in the right-click menu, thus giving you one-click access to all your data. Thanks to Google chrome storage API, it even allows you to synchronize all your saved data on all your devices without needing to create any sort of account. All you are required to do is to log in to Chrome on other devices using the same email. Furthermore, it does not only work with Chrome, but it also works alongside every other single app on your system. As soon as you install and activate this extension, it will start monitoring, collecting and managing any text data which is loaded in the clipboard. One of its unusual features is that it allows you to merge two or more clips into one. It is a lightweight extension which will enable you to customise the design of the scrollbar in Google Chrome web browser. It gives you the freedom to write your own custom CSS styles to override the default design of the scrollbar. It also comes with some integrated settings. From within the setting panel, you can customise the shadow, border color, border width, background, on:hover effects, active state, and various others. 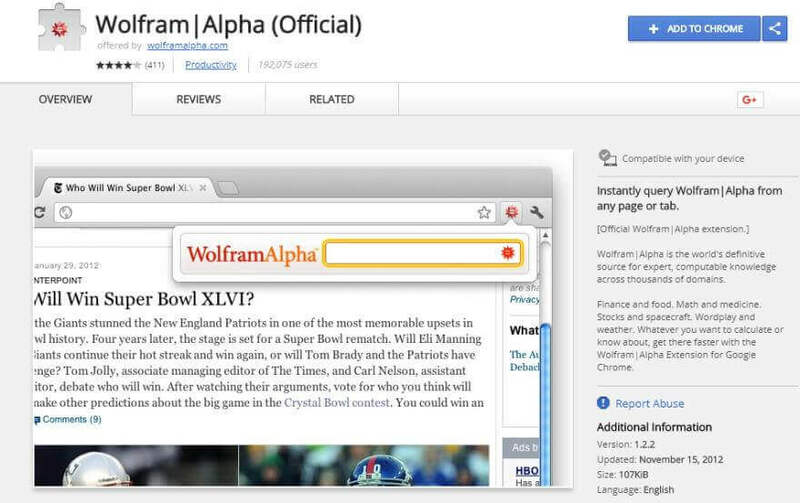 Our next addon is based on one of the worlds most popular and probably the world’s most advanced web service, and that is Wolfram Alpha. For all those people who do not know about this site, it is basically a search engine which instead of providing you with search results provides you with exact statistics and data. For example, you can search for New York. Now if you are going to search New York on Google, you will get links to different web pages. However, if you search this term on Wolfram Alpha, you will get details and statistics related to human population density, age group, average wages, pollution, growth rate and what not. You can also use it as an online calculator, but it is quite different and advanced than other calculators. Instead of just showing you the result of the given input, it will actually show you the steps which are required to be followed to obtain the correct result. So for example, if your input is 2 * 5 + 10 ÷ 10, unlike other calculators which would just follow the sequence and give you 2 as the output, Wolfram Alpha will actually follow the BODMAS rule and give you the correct answer, and that is 11. 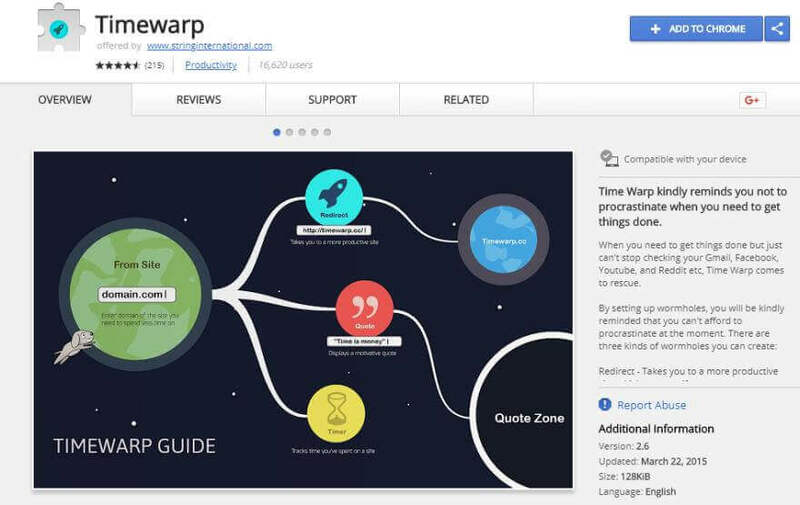 Overall it’s one among the best chrome extensions for students and for teachers. It is very popular chrome plugin among web developers and designers as it helps them to know the web technologies, content management systems and even templates which are being used by almost any website in this world. Furthermore, they even claim to be able to detect plugins and also the advertisement networks being used by any website. I should also make it clear that WhatRuns is not always 100% correct. However, even then it provides almost all accurate information regarding the frameworks and the technologies used by any website. One another great feature of using this service is that it allows you to set up notifications. So, now whenever there is any change in the technology being used a website of your interest, you will be notified via email. If you are one among those, who procrastinate a lot while working and if you want to change that, Timewrap is no less than a blessing for you. This addon is created for those peoples who love to skip their primary task and browse the internet for fun. TimeWarp keeps you motivated with the help of friendly reminder, timer, and inspirational quotes. It allows you to create a wormhole. You can create three different types of the wormhole, and they are quote, timer and redirect. So mainly when you cannot resist yourself and try to open one of the most addictive websites at work, this extension will either redirect you to the site you should be working on. Alternatively, it might display the message to remind you that you should be working or you will see a timer that keeps showing you the time you wasted on that site. Once your home, you just need to disable this extension and enjoy all your favorite websites. Great right! It is genuinely a free VPN app with no strings attached. 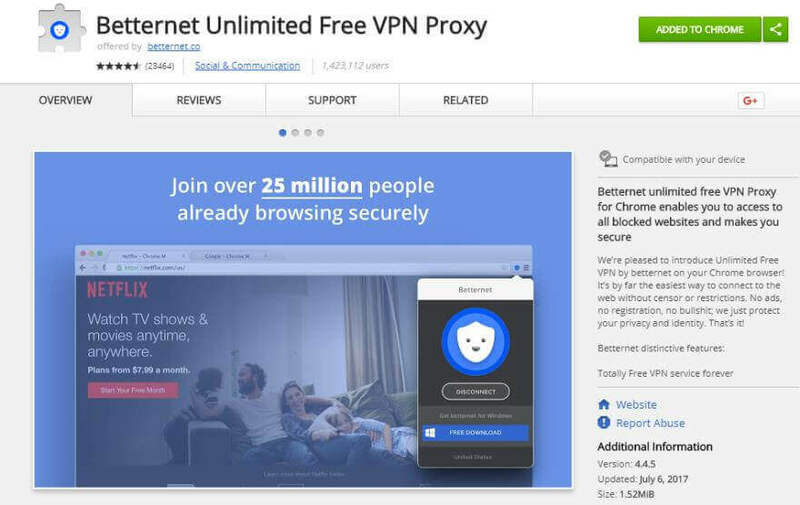 It is also one of the most popular and widely use Free VPN on the planet. They have more than 1.3million chrome users, and on Google play store they have achieved the top spot in their category in less than a year. According to the official statistics, Betternet serves more than 38-million users worldwide. The fun fact is that their servers handle more than 1 Petabyte of data every single day. Now for those who do not know, with the help of VPN you can access sites that aren’t available in your country. It gives you a virtual location and thus helps you to fake your geographical location. Furthermore, it also shields your browsing activity with the help of encryption. You should use it if you are not already. Now coming back to Betternet, it does not even ask you first to sign up to use its service. All you have to do is install the extension and choose your preferred location. Currently, there are only two locations available, and they are the United States and the United Kingdom. So just select your preferred location, and you are ready to go. If you are among those who keep opening tabs until the favicon evades, it is high time you should start using a Tab Manager. Tabman really does make things simpler. It lets you interact with all the active tabs from a single side panel. Furthermore, you even get a search option so that you can search for a specific page among your opened tabs. If it is not something you are looking for, then I will suggest you try Session body. 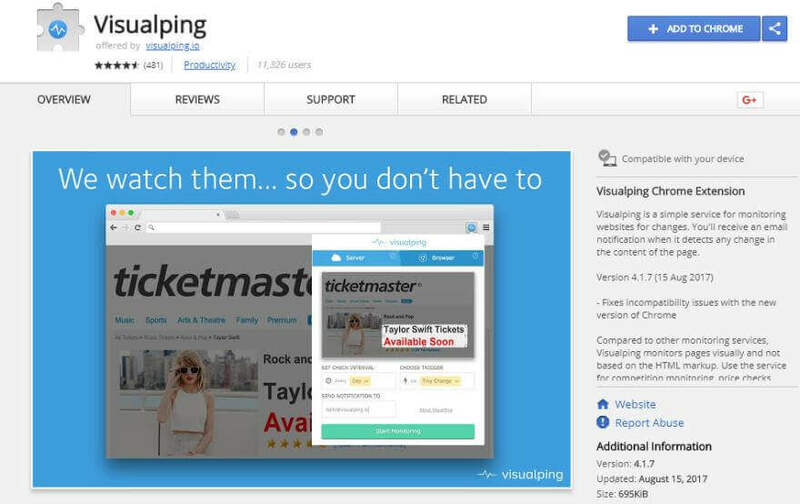 It lets you save tabs so that you can restore all of them later with just one click. It is one among those Chrome plugin which I use on a daily basis. It has a simple interface, it is easy to use and is effective as well. However, if you are new to pocket let me first tell you what it does. 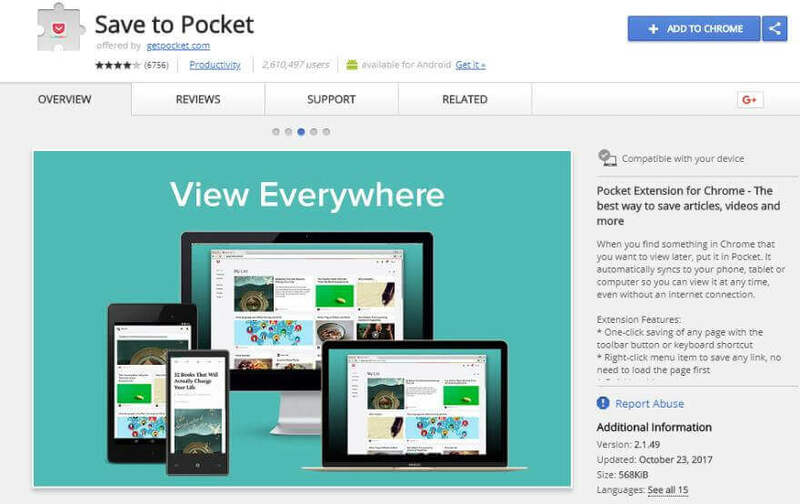 Pocket enables you to save content so that you can read or watch it whenever you have time. Trust me; once you start using it, you will not be able to imagine a life without it. It is that effective. All you need to do is to install the extension, log in with your account details and now you can save any article or video on the internet for your leisure time. Pretty simple, right. Are you found of GIFs, Well, congrats you are among 100% of the Internet users. Trust me all of them love it including me. Let me introduce you to Giphy. 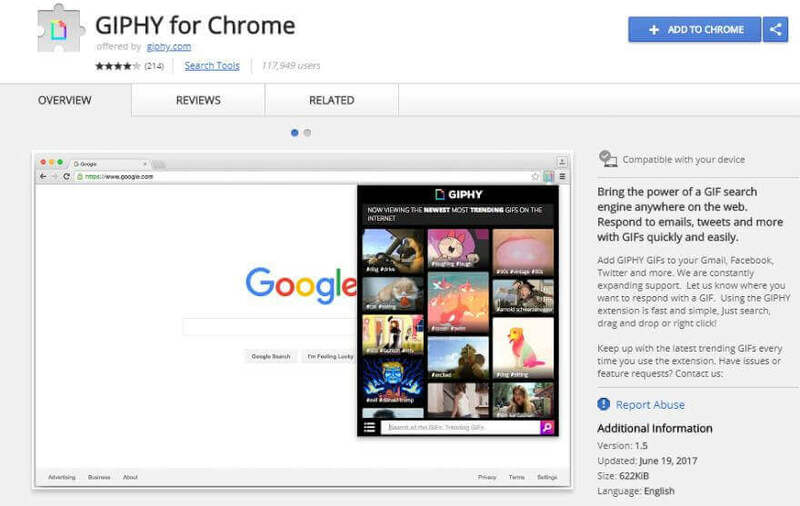 It is an online service which makes it really easy to search for GIFs, explore the trending ones and to download them. 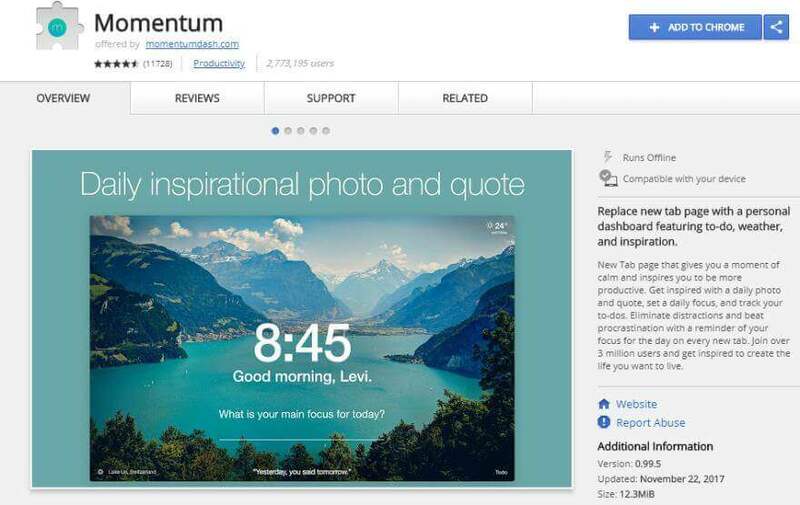 If you install this chrome plugin, then you will even be able to include Gifs in your Google Mail, Facebook chat, tweets, Slack team message, and even in Hipchat. 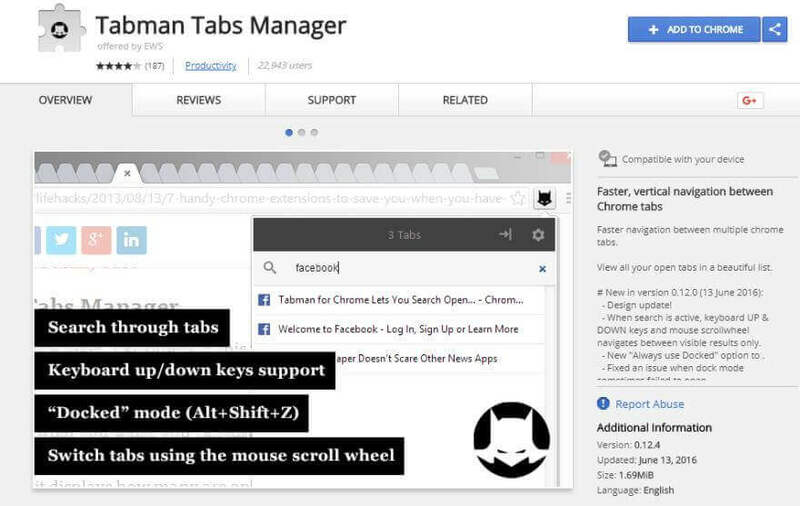 Do you want your Chrome’s new tab to look pleasing while making it even more productive? Well, in that case, you should try out momentum. Once activated it will automatically display a beautiful wallpaper along with an inspirational quote everytime you open up a new tab. I think that is what I need to keep my self-motivated throughout the day. However, that is not all. You also get lots of other features. For example, you can shortcut for apps links, and you can also maintain to-do list of your own. Furthermore, you can also enable or disable the thumbnail of the most visited websites. If the internet spoilers have ruined some of your favorite TV shows, it is time you should do something about it. With the help of Unspolier, you can block every bit of Movies, TV shows or even Game spoiler from Google, Facebook, Twitter, and any website on the Internet you can imagine. All you need to do is to add the name of the shows you do not want to see any spoilers off, and you are all set. Now whenever you open any webpage that has any information related to the show you added, this extension will pop up a warning for you. It will warn you that this page may contain spoilers so open at your own risk. 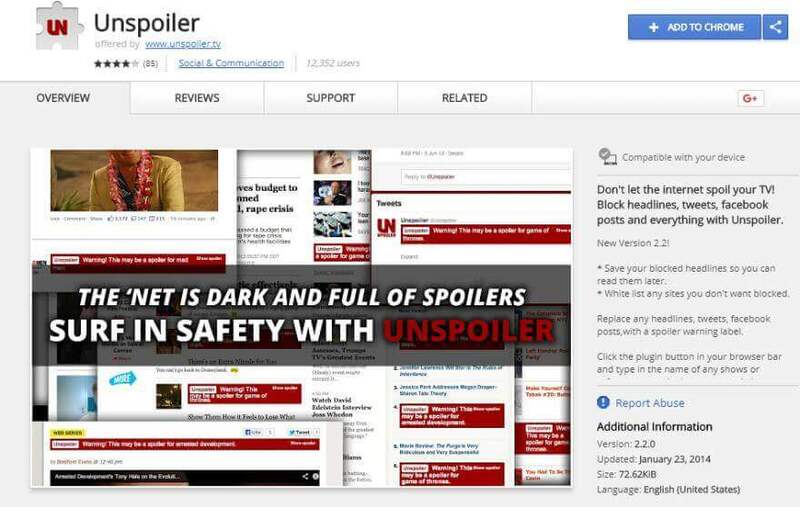 You can also whitelist a particular website if you think it will not talk about any spoilers. 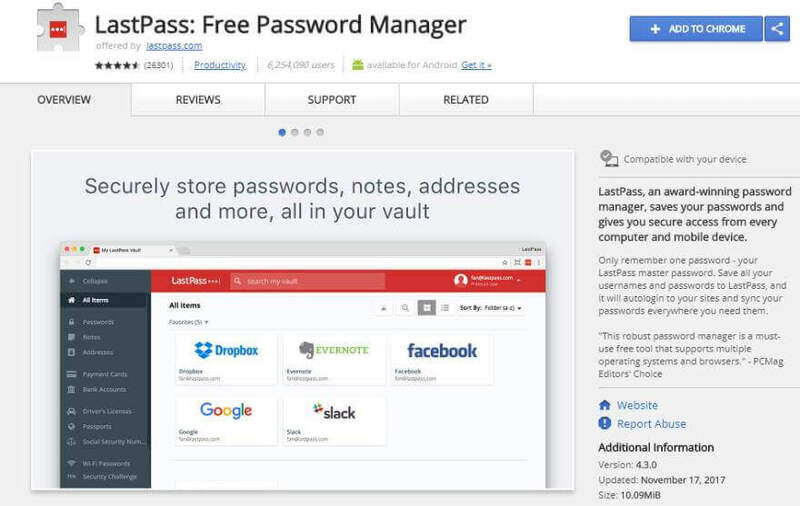 6+ million worldwide users and I am just talking about the Chrome users, well I have no doubt to say, LastPass is indeed the world’s most popular, and at the same time most accessible password manager I have ever used. We all know remembering passwords of all sorts of social media accounts, email accounts, and other services can be a daunting task. However, it is not the case if you are using a password manager. With LastPass installed, when you visit a website where you need to enter the password LastPass will automatically prompt you a message asking you if you want to save the password along with the associated username or email id. Once you do it, you can simply open the site directly from within the extension without needing to enter the password manually. Moreover, it comes with a built-in secure password generator, and you can share all your account information securely with your friends and family members. It also has some other nifty features which you can make use of. For example, you can enable multifactor authentication which will help you give added security to your master password. 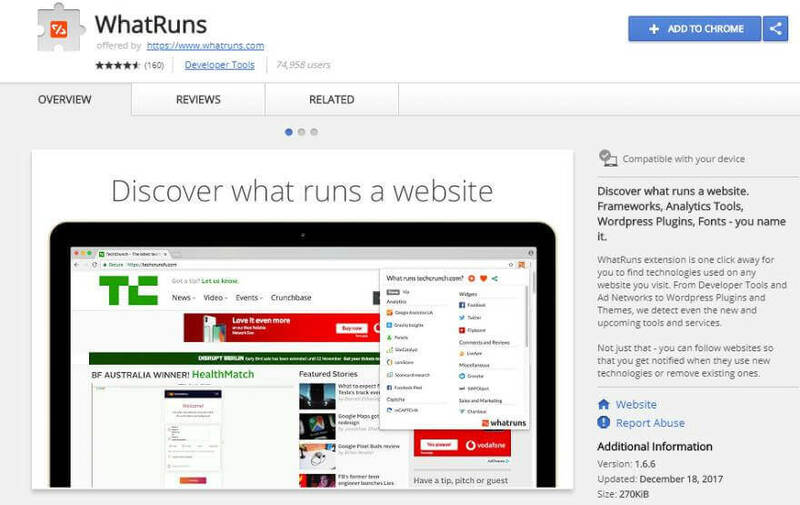 In this post I have listed out 15 must have google chrome extension. I think all of them are useful and will help you with your day-to-day life. You don’t need to activate them all at once. Just install them and keep them deactivated & whenever you feel you need them, just activate them. Also, if you know of any other Chrome plugin which you believe should be on this list, then just share it with me in the comment section.